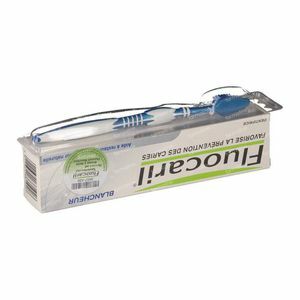 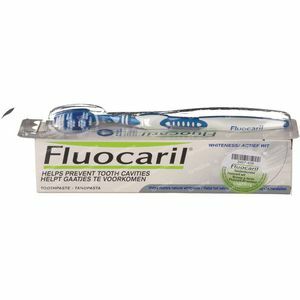 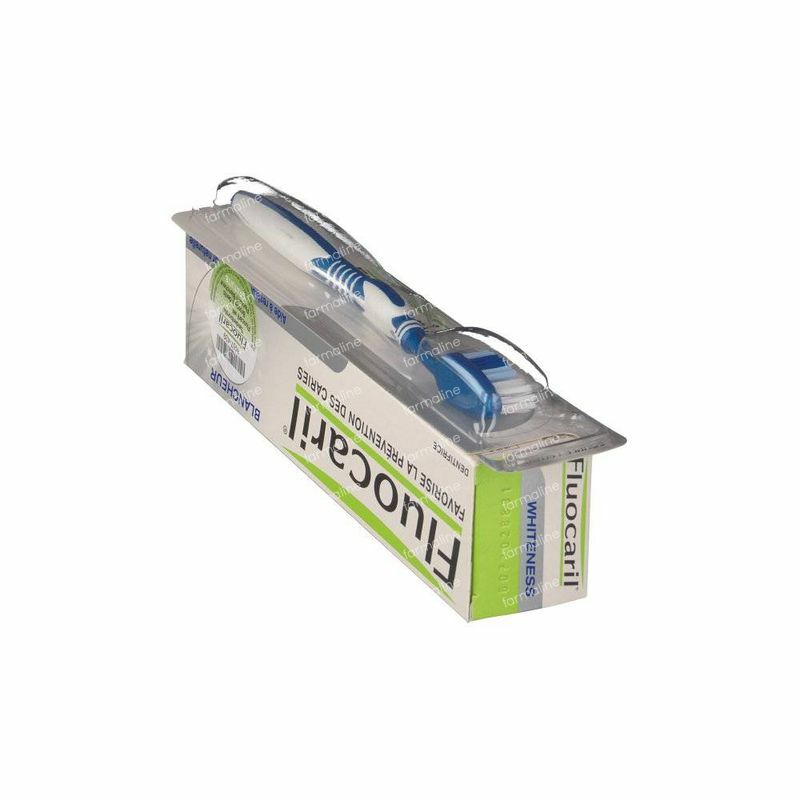 Fluocaril Active White Toothpaste 125 ml order online. 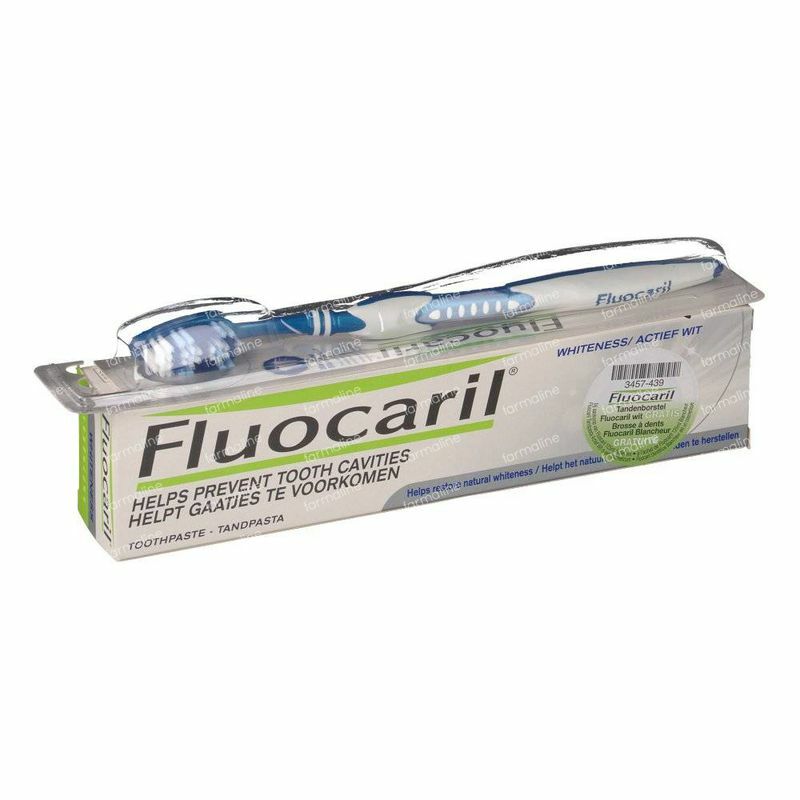 Toothpaste to prevent carries (1450ppm. 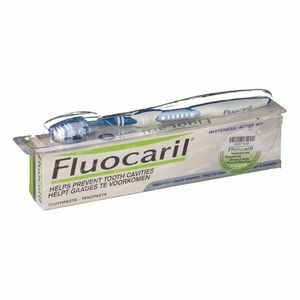 F) + active cleansing for whiter teeth. 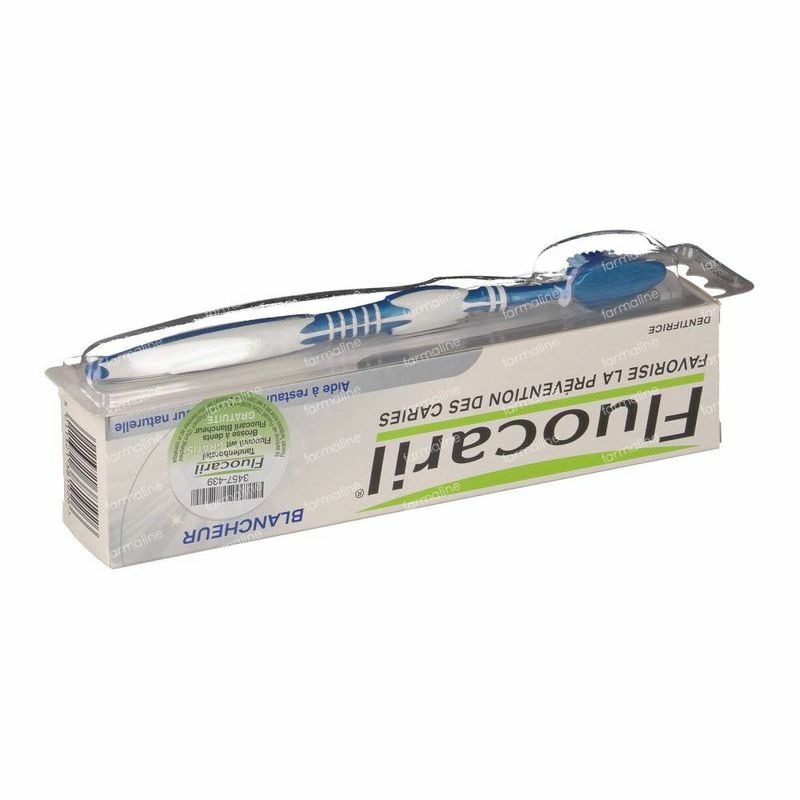 Sodium benzoate: helps loosen plaque and makes it easier to remove. 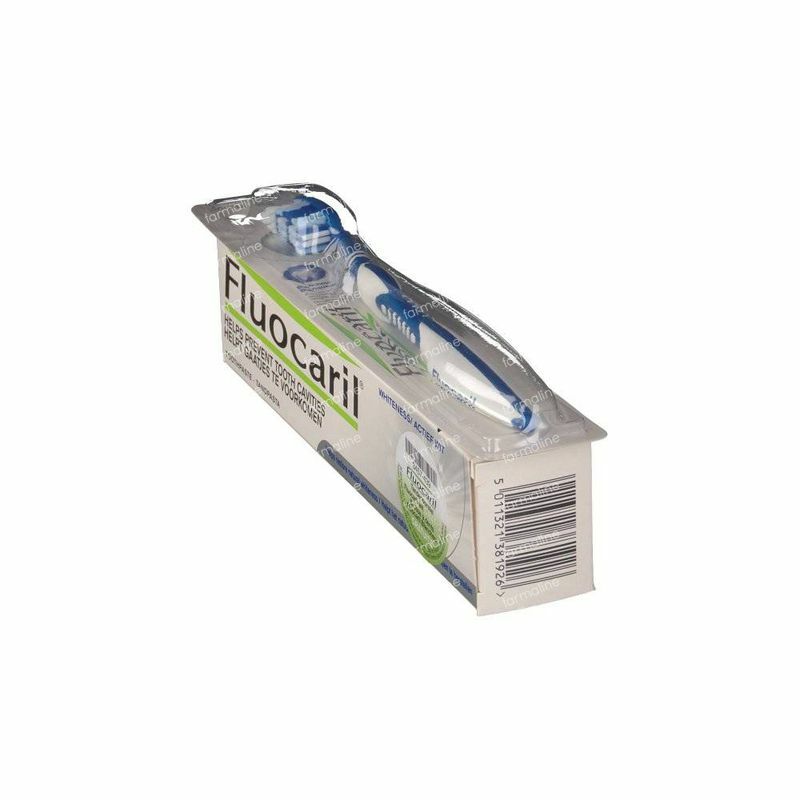 Calcium Carbonate: mineral, granular component with slightly abrasive action to better clean the surface of the teeth. 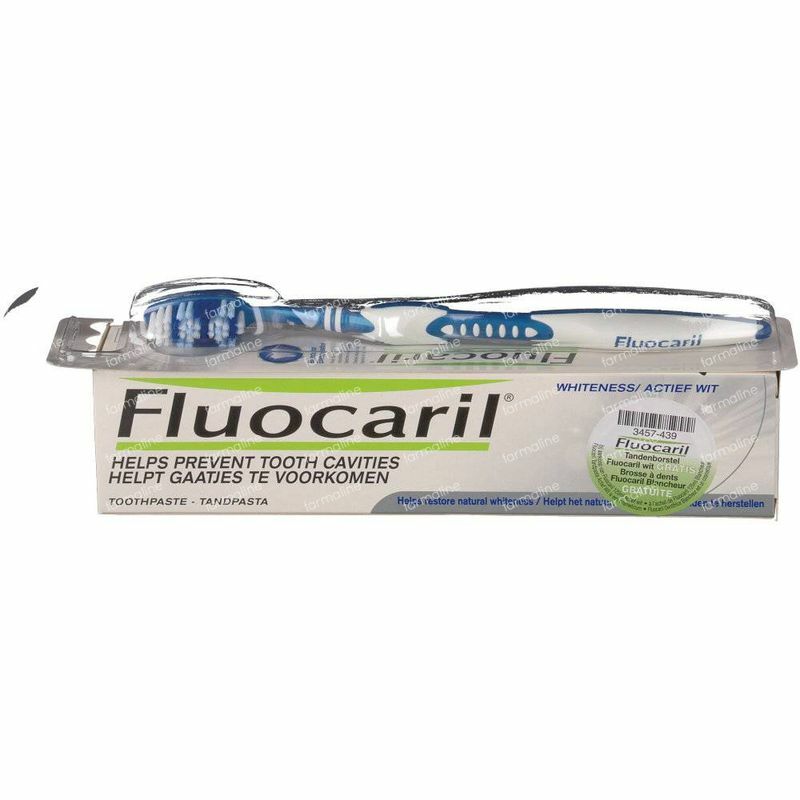 Aqua, Sorbitol, Silice hydraté, Ca carbonaat, Na benzoaat, PEG 8, Cellulosegom, Titane dioxide,Na monofluorofosfaat, Polyglyceryl-3 hydroxylauryl ether, Na laurylsulfaat, Aroma, Methylparaben, Propylparaben, Na sacharinaat, Dinatriumfosfaat, Tribasisch natriumfosfaat.